Oreo House designed by Taylor Pressly Architects boasts a moody monochromatic interior that contrasts perfectly against the warmth of the impressive kitchen featuring Maximum Calacatta panels, timber and brass elements. 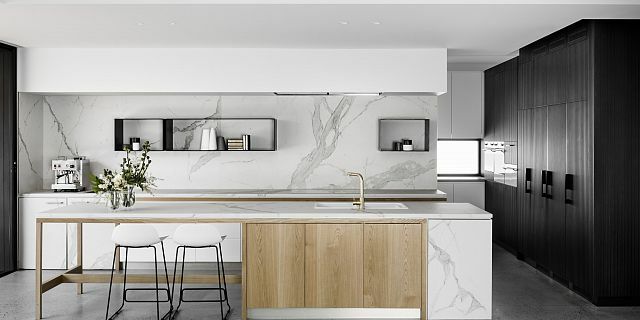 Maximum porcelain panels are used extensively in this kitchen as the bench top, splash back wall and joinery details. Particularly suitable for kitchen surfaces, Maximum is highly resistant to staining and have a very low maintenance requirement. 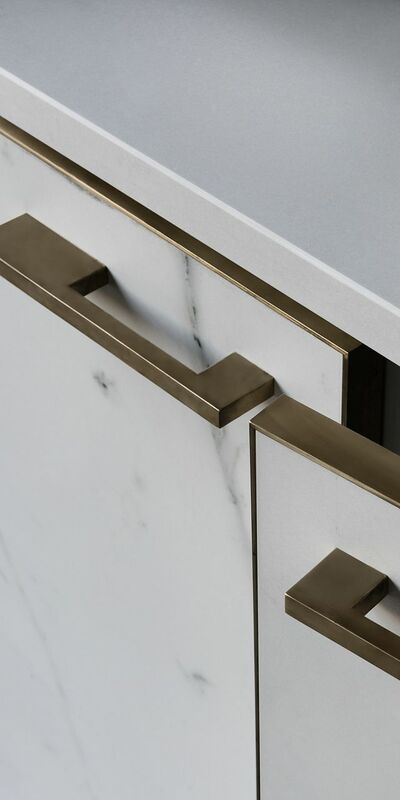 The use of Maximum on the drawer fronts is a small detail that creates an impressive design statement that can be easily achieved with the lightweight and thin profile qualities of Maximum.